The Fox Trot 8 TIR LED Dash Light contains 8 Generation IV 3.0 Watt LED bulbs of high-intensity light. Our competition uses 1 Watt LEDs, so ETD uses 3 times more watts/LED than they do! This means 24 watts of pulsating brilliant light instead of just 8! 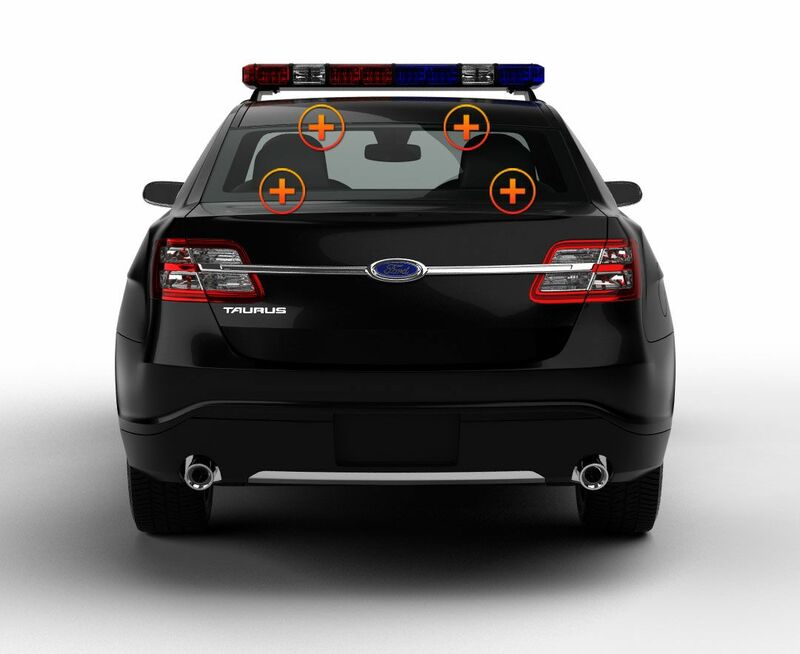 Mounted with suction cups, the sturdy two-light head unit with impact resistant,polycarbonate TIR lenses is designed for front or rear windows and comes with an adjustable and/or removable flashback shield that fits most windshields. It has a hi/lo power option that gives you perfect amount of light for any situation. Choose one of the 26 flash patterns by pushing the switch on the back of the housing. The Fox Trot 8 is a favorite of first responders--both professionals and volunteers These lights can be synchronized with two additional Fox Trot Dash Lights producing maximum illumination of 72 watts. This bright, blinding light is quick and easy to install with the suction cups and the cigarette lighter combination power plug that has the ON/OFF and Flash Pattern selector at arm’s reach. It is one of ETD’s most popular emergency light products. 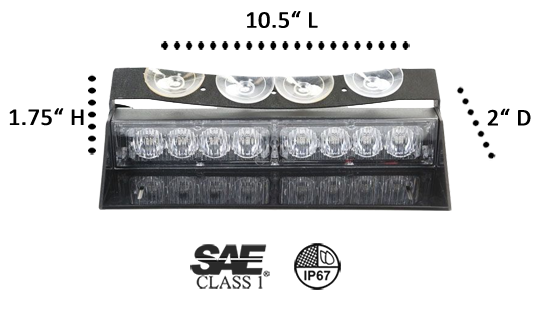 The Fox Trot 8 TIR LED Dash Light is a high-end light bar that our customers rave about because of the awesome number of flash options and its intense brightness. 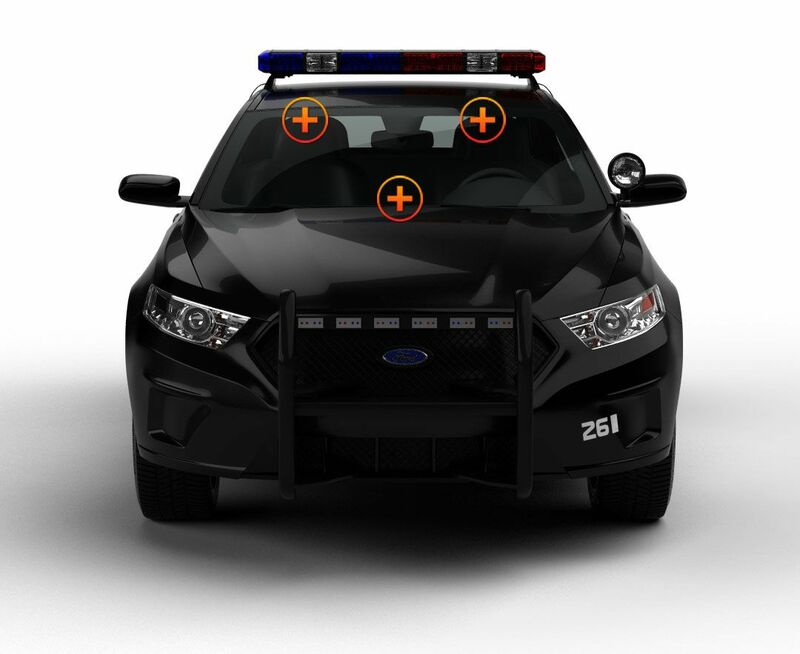 This LED dash light has pattern memory, and each current operating pattern is shown in LED lights on the back for easy reconfiguration and for maximum effectiveness. 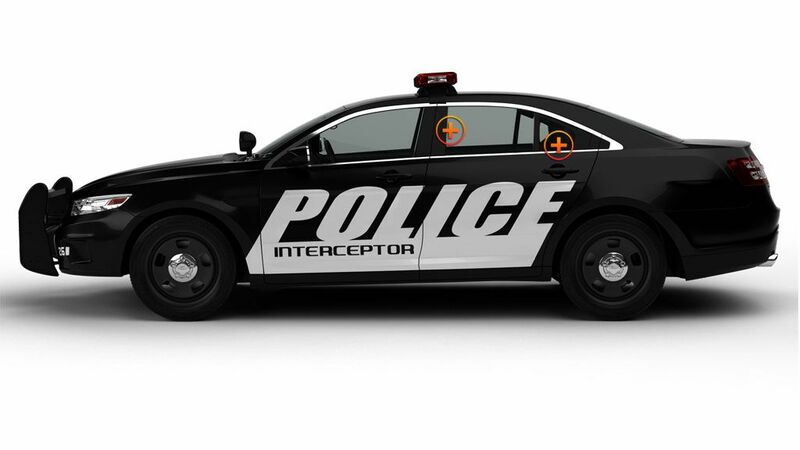 Choose from 12 solid color and split-color combinations; red and white is a favorite among our clients in police and law enforcement. I am a volunteer firefighter and have mounted this light on my front window with the included suction cups. It certainly clears traffic out of the way. This was easy to figure and mount. The flash patterns are great and the LEDs have great visibility! This light is tough. Totaled my car but this light still works. I have two of these units I was able to get them to sync very easy so they stay on the same pattern together. Very bright light and a great price. I love the high low functions on this light. I am able to dim it in the night time if I need to. Easy button right on the control panel on the back of the unit. Perfect addition to my police car light set up. Our town limits the amount of light they will put on the cars. I bought three of these. 1 for my dash and 2 for the rear deck. The ones in the rear deck Sync up so they are on the same pattern. I like the fact you share your customer videos with us. I will be sending mine soon. As for the light it is great. I have had this light for two years now and I am happy with it. It has not failed me and offers a lot of flash patterns. I like the controller on the back of the light it makes it very easy to operate. The controls on the back of this light are a plus. It is very bright and able to be dimmed. Customer Service was great when I had questions.